Adjustable hook & loop tab closure and Neoprene stretch upper provides medial and lateral relief for bunions, hammertoes and corns. 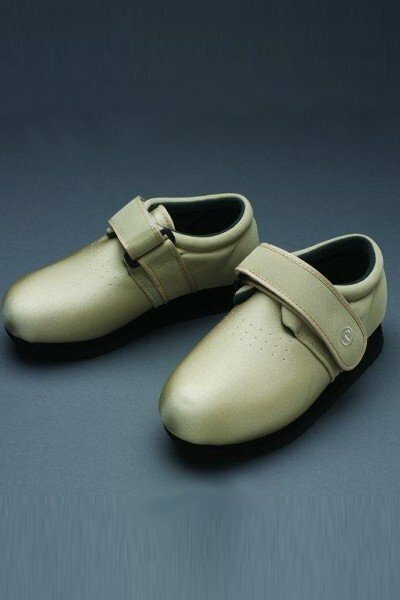 Although these shoes are commonly referred to as diabetic shoes, they are equally beneficial for those suffering with arthritis, poor circulation, and foot and ankle edema. The full-length EVA inner sole can be removed for additional foot-bed depth or to accommodate custom orthotic inserts. Machine wash in cold water, gentle cycle and rack dry only. Whole sizes only. Extra wide width.